Ultra high-field MRI has, in the last years, rapidly grown from a niche technology primarily used by MRI physicist and engineers, to a widely used imaging approach to study brain structure and cognitive function. (The potentials for body imaging remain largely unexplored.) In my previous talk, I have presented our efforts to develop quantitative functional and anatomical MRI approaches at 7 Tesla. We applied these approaches on various patient populations (e.g. MELAS, type-II Diabetes, motor symptoms & DBS), as well as on healthy subjects to study cognitive functions at an unprecedented spatial resolution. In this talk, I will present an update of these projects, including new results on clinical applications, brain parcellation using multi-modal MRI contrast, MRI sequence developments, mitigation of MRI inhomogeneities and post mortem diffusion MRI. In addition, I will describe experiments and theoretical models to investigate the hemodynamic response underlying the fMRI signal and to derive brain functional connectivity. Finally, I will elaborate on existing challenges and opportunities at 7T for brain as well as for body imaging. 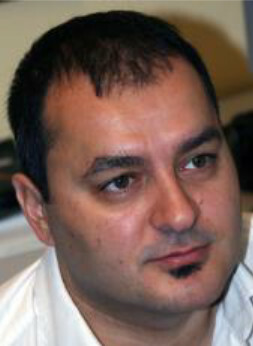 Kâmil Uludaĝ studied from 1992 till 1997 Physics at the Technical University of Berlin (Diploma thesis on Theoretical examination of Quantum Computers, awarded by the Hereaus Prize). He completed his Ph.D. in Physics in 2003 on Near-Infrared Optical Spectroscopy (Humboldt University, Berlin) and moved for a postdoc position to the Center for Functional MRI (UCSD, San Diego, USA) under the supervision of Prof. Buxton to work on the physiological and physical basis of functional MRI. In 2004, he was appointed as Head of Human Brain Imaging group at the Max-Planck-Institute for Biological Cybernetics, Tübingen. Since June 2010, he is Associate Professor in the Faculty of Psychology & Neuroscience and currently Head of the Department of Cognitive Neuroscience continuing his work on the basis of fMRI utilizing the new Ultra-High Field human MRI scanners (7 and 9.4 Tesla). In addition, he works on quantitative anatomical MRI (ASL, T1, T2*, SWI) and applies these approaches on post mortem brains, healthy subjects and patients. His main interest is in the development of new imaging and modeling tools that can then be used to ask novel questions concerning human brain function and anatomy, both in healthy subjects and patients. Dr. Uludaĝ currently supervises 3 postdocs and 4 PhD students. He is on the editorial board of five neuroimaging journals, served from 2011 to 2013 as Annual Meeting Committee Member of the International Society for Magnetic Resonance Imaging in Medicine (ISMRM) ─ the primary international organization dedicated to developments in MRI to study brain and body ─ and was elected Chair of the Current Issues of Brain Function study group. He recently edited a textbook on functional MRI: from Nuclear Spins to Brain Functions (Publisher: Springer).